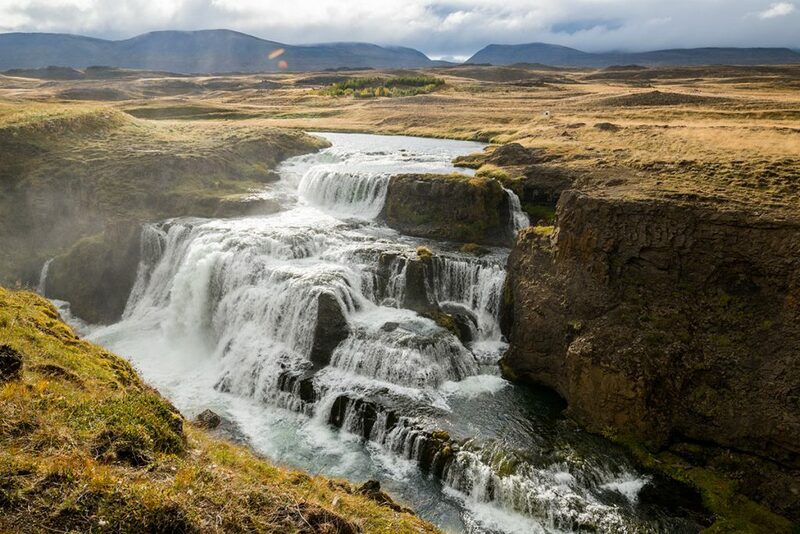 Rejkjafoss is a nice waterfall on Huseyjarkvisl river and the only reason it is not more famous is, that it is just bit aside from the Golden Circle or Lake Mývatn. 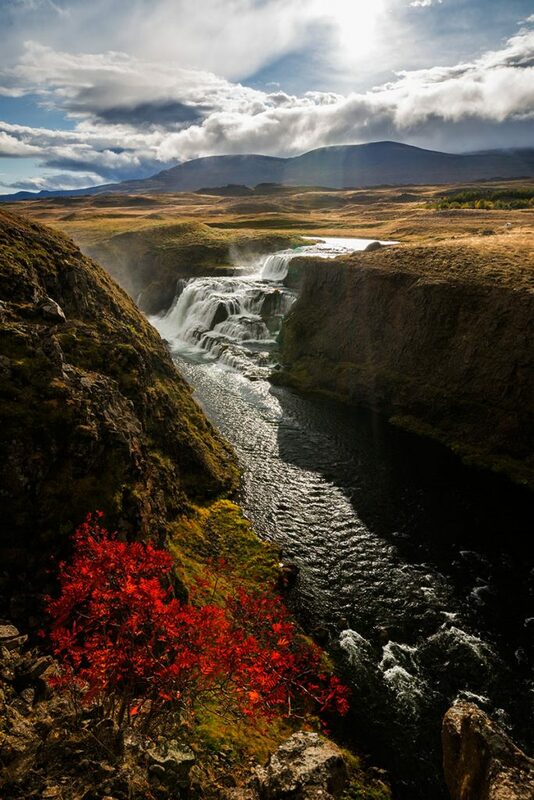 In many other countries, such a waterfall would be a highlight! And the waterfall itself is not the only reason why to consider a visit. Just literally few meters (yards) away is Fosslaug geothermal pool! 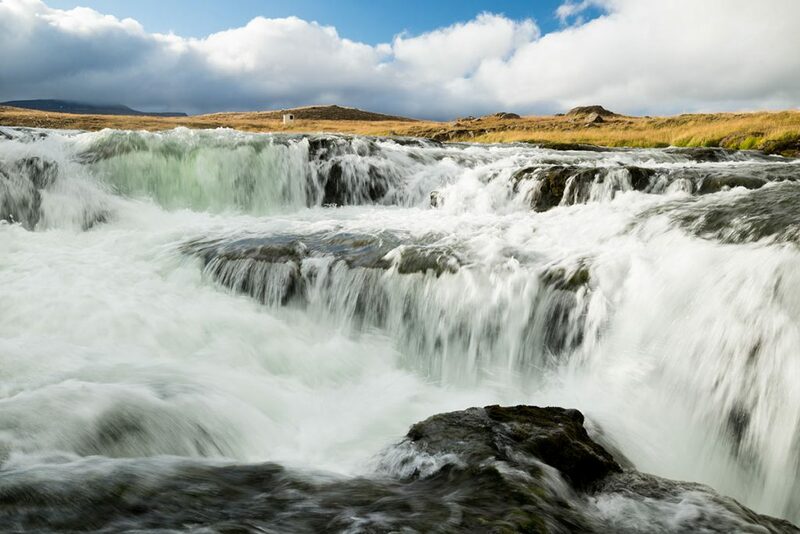 Reykjafoss is located 8 kilometers (5 miles) south east of Varmahlíð. Just turn off the road nr. 752 to nr. 753. After you cross the bridge, turn right. Eventually, you´ll reach a small parking lot (GPS: 65.499083, -19.379456). 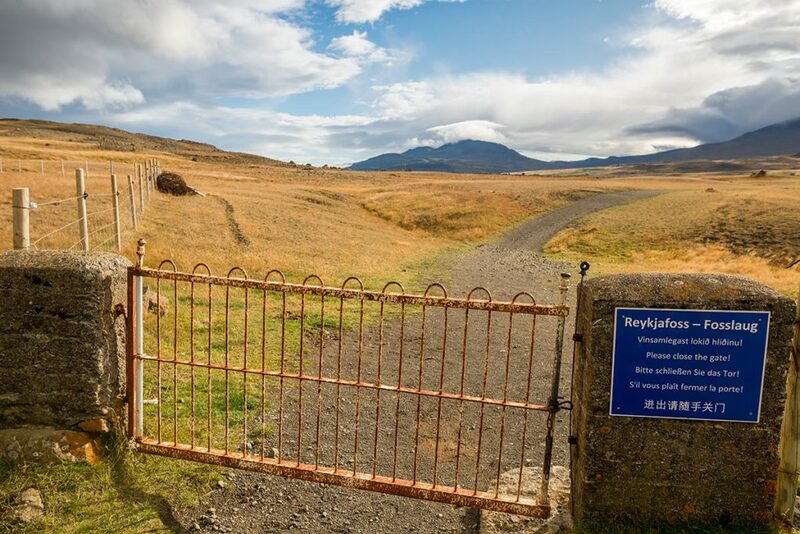 From there on Reykjafoss is just 5 minutes away to go. 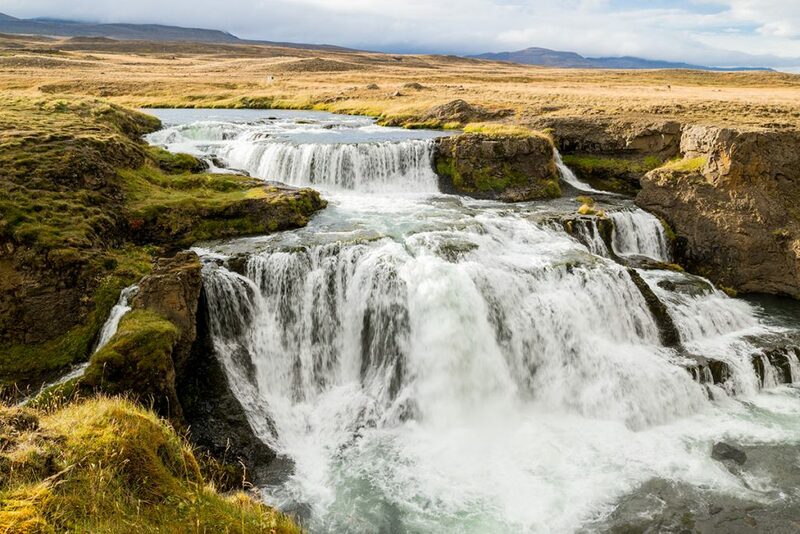 GPS coordinates of the Reykjafoss waterfall: 65.494581, -19.383196 Take me there!